General Mtg: June 5, 2018 | Milwood Neighborhood Assoc. Please join MNA for the below agenda regarding our neighborhood. As well as some neighborly socializing and some great Free Pizza from iFratelli’s!! If you would like to input an agenda item or join the board please email mnaboard@milwoodna.com. It’s also a great time to pay your MNA Member Dues, which are $15 per year, but it is not a requirement to join the meeting, only to vote. It does help MNA continue its work for the neighborhood. Renters & Owners alike are welcome! Heavily discounted $5 Radon Tests will be available at the door as well for all. 6:45pm: Socializing & iFratelli’s Pizza! – Crime Report, Key Concerns & Neighborhood Watch in Milwood – Get us ready for the Summer! – Additional MNA Items ~ Facebook Page; Annual Dues; Call for Board Participation – attend a board meeting without a commitment/try us on! 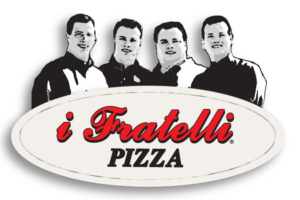 Thanks to iFratelli’s for providing us with some complimentary pizza to kick our event off right! !